This is my first post of many to come. 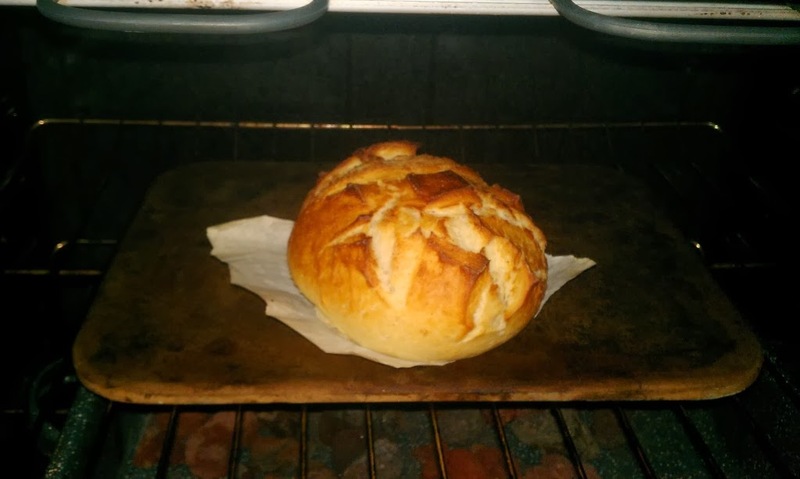 I have been baking bread for the last year and a half or so. However, it has not been an every day process, more of an off and on situation. i am a full time Mechanical Engineering student and a part time worker, STILL, my week is a 60 hour week if im lucky. So when i do get to bake, it is a frantic run around. BUT, i am determined to become more patient with it. So i am going to keep a journal of my bread baking journey. The first adventure i stumbled upon was the many various ways to steam the bread. I have heard of ways that are very interesting, including but not limited to using a steam cleaner in the oven. That one i am guilty of! haha. Theer are a variaity of other ways to steam bread. I am going to take that dive and try them all and see what ones work the best. After the initial bake, i let them cool and then ate them up real sorts of fast. now its time to learn how to make them BIGGER!. Next time, omit the bowl while steaming. Either remove the right-rear burner element and shoot the steam into the oven that way, or just crack the door and steam for 1 min. no more steam needed. The yeast only gets 1 jump from the steam. Further steaming only changes the crust.